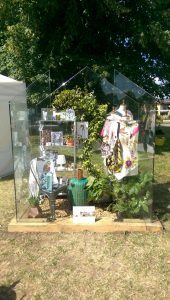 We’re now back from a busy week at Hampton Court Flower Show! 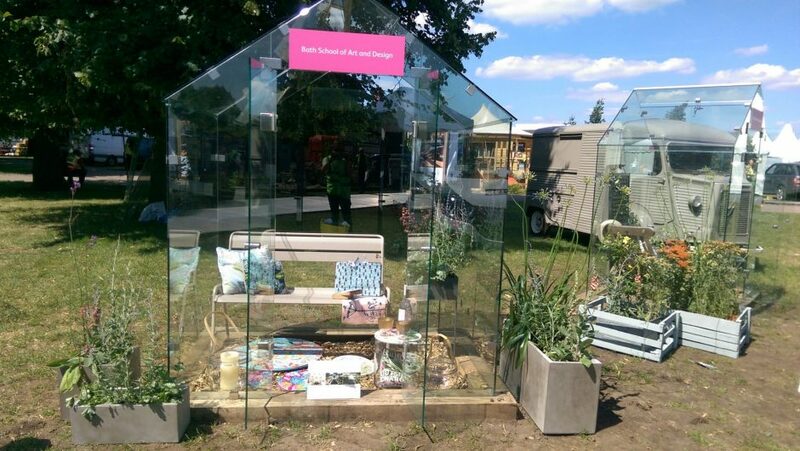 We were very honoured to be asked by Bath Spa University course leader Amanda Goode to work alongside them again on this year’s prestigious RHS show. Our garden design team headed to Hampton Court last week armed with a hand-picked combination of plants from local nurseries and a wealth of props and planters. The aim, to display just a small selection the up and coming talent at our wonderful local university. 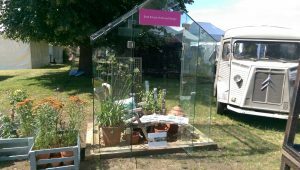 We’d like to say a huge thank you to Bath’s very own Willow Pottery for the loan of some of their exquisite terracotta planters and to local company Pure Greenhouse for providing the frameless greenhouses to the RHS.